You are here: Home » Resources » College Career Center » College Essay Reading » Meet the Essay Readers! The Berkeley High College essay readers are a group of experienced writers and editors who volunteer their time to help BHS seniors with their college essays and personal statements. Mike Bolgatz is a lawyer practicing in Berkeley for the last 20 years. He has been volunteering reading college application essays for the last four years. Katherine Brown attended Stanford University graduating with a degree in Journalism with a minor in French Language. She also studied law for 3 years, worked in Marketing and Public Relations and is currently a Suzuki piano teacher. She really has fun helping students 'get unstuck' or "rolling" while tackling college essays. Her 3 kids attend Pratt Institute, Stanford and Colorado College. For fun she likes to walk in Tilden Park, forage/garden, and host dinner around a bonfire. Carla Castillo began reading college essays when her daughter was at BHS. Before beginning her private coaching practice, Carla was a defense attorney in the criminal justice system. Since then, she has expanded her practice; she now tutors students who want to increase their writing skills and also works as a professional copyeditor and proofreader. Elaine Chan is a certified College Admissions and Career Planning Advisor who has been volunteering as a Writer's Coach at Berkeley High since 2013. She enjoys helping students write unique essays using their own voices. Elaine also volunteers at community-based organizations working with first-generation, college-bound students. Chloe Chaudhry taught writing to homeschoolers for twelve years before she discovered how fun it was helping her daughters and their friends with their college application essays. As a UCB alumni, she's also been on the other side, reviewing scholarship applications. This is her second year working with students as a BHS essay reader. Robin Claire worked as a film and TV development executive in the entertainment industry for over twenty-five years. She graduated from Berkeley High and went to Northwestern where she studied theatre and communications. Robin enjoys helping writers find their voice and uncover the power of their personal stories. She has volunteered as an essay reader for Berkeley High for three years and before that she read essays for students attending private schools in the Los Angeles area. Steve Cohen is a communications consultant for non-profits and a writer for university and other publications. He held communications positions at University of California (UCOP and UC Berkeley) for 18 years, and has enjoyed being an essay reader for the last three years. Ellen Feigenbaum earned a B.A. and a J.D. from the University of California at Berkeley, as well as an M.A. in Education from Stanford University. After working for many years as an attorney, Ellen launched her second career as an English teacher and instructional supervisor. She loves helping students with the uniquely creative process of writing college essays. Judith Friscia has a BA in English from the University of San Francisco and an MA in English literature from Sonoma State University. She’s taught English composition and literature at Sonoma State University for over 10 years. Two years ago she decided to become a College Advising Specialist and has absolutely loved mentoring students on every aspect of the college application journey. Julie Golde loves writing-- and editing even more! She has worked in the non-profit sector for over 20 years where she spends a lot of time doing both. Julie is particularly interested in supporting students in their journey of college application essay writing, helping to bring their unique stories and perspectives to the page. Claire Greene has worked for over three decades in public broadcasting as a reporter, producer, host, and fund raiser. She’s also directed plays and is currently working on a collection of short stories. She worked for three years with Writer Coach Connection at BHS where she fell in love with helping the students find their writer’s voice. Claire is a graduate of Skidmore College with a B.A. in Philosophy and Government. Margaret Handley is an epidemiologist with a background in public health research and environmental sciences. She is a full-time professor at UCSF, conducting community-based research and training programs to improve the equity and quality of health interventions. Her three daughters are current and recent BHS students, and she has worked as a writing coach at BHS for the last couple of years. 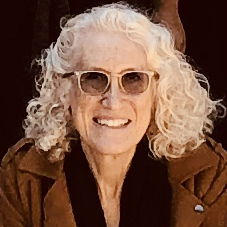 Lisa Handwerker has taught at the university level for over 25 years including UC Sanra Cruz, SFSU and CSU East Bay and has extensive experience providing feedback on student papers. As an alumnae of UC Berkeley, she has also served as a community member to review scholarship applications from African American, Native American and Latino students. She volunteers at the BHS front desk on Tuesday mornings. Janet Huseby is a journalist who has worked with the Associated Press, Time/Life Books and the University of California, Berkeley. This is her 19th year reading essays at Berkeley High. Brenda Kahn earned a master’s in journalism from the renowned Medill School of Journalism at Northwestern University and has worked as a writer and editor for more than 30 years. She currently works as the web editor and senior public information officer for a large regional governmental agency in the Bay Area. She has been a college essay reader at Berkeley High for more than a dozen years. Jamie Keller is a professional writer/educational therapist with a private practice specializing in working with rising seniors on their college application essays. Jamie has been helping seniors with their personal statements and volunteering at Berkeley High since 2006, successfully coaching hundreds of students in the art of writing unique, personal, and memorable essays. Wendy Morrison is in her 14th year as an independent college counselor. She has been volunteering at Berkeley as an essay reader for over 10 years. Robin Packel graduated from Yale University with a B.A. in English and from Hastings College of the Law. She has been a research and writing attorney with the Federal Public Defender in Oakland for more than twenty years. She has volunteered for the past six years as a writer-coach at King Middle Schoo and occasionally at Berkeley High. She really enjoys working one-on-one with students on brainstorming, drafting, and editing. Bora Reed is a writer, editor, and the communications director at the Goldman School of Public Policy at UC Berkeley. Suzanne Rubel is a Career Counselor working privately with two organizations in San Francisco. Before her long career with the Career Center at San Francisco State University, she was a History Teacher and Guidance Counselor in Chicago and attended Northwestern University for her MA in Counseling. Sara Sanderson is a retired public interest attorney. She has volunteered in the classroom writing programs and college essay programs at Berkeley High for about 10 years. “I focus on brainstorming with students to pinpoint their uniqueness and market their skills. Together we craft the outline of their essay and bring out their unique writing style." Pam Zelnik is a licensed counselor/psychotherapist/MFT with a B.A. from UC Berkeley and an M.A. from the San Francisco School of Professional Psychology. She has been a writer coach in the Berkeley Unified School District (Writer Coach Connection) for several years.